Written by chris maroulakos on Tuesday, July 19th, 2011 at 10:00am. By now, Fitz and the Tantrums don’t need much in the way of an introduction. The LA musicians made a big splash last year thanks to their dance-tastic debut, Pickin’ Up The Pieces, and its triumphant mix of soul, pop, and rock. They’ve also earned a reputation for putting on fantastic live shows, and their performance tomorrow at the Birch Aquarium in La Jolla should add yet another notch to what’s becoming a very large belt. Of course, traveling around the world and performing can also involve a lot of downtime. We spoke with fetching vocalist Noelle Scaggs about the songs that keep her inspired on the road. You can check out her genre-hopping list below. Being that we are constantly road traveling these days, music has become an important part of my sanity on these long bus trips. These are my top ten most played tunes on the road with the gang and random road trips up the coast of Cali. All of these artists are genius at what they do musically, and have really inspired me as a writer and composer. They also have a lot in common as far as creating their own thing, which is something we as Fitz and The Tantrums have made our focus in our music and our live show. Some of these are old, some of them new, all are on heavy rotation. 1. 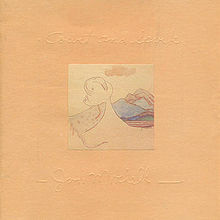 “Car on The Hill” by Joni Mitchell (Court And Spark, 1974): This tune is the 6th song off her 6th LP, and first commercial success for Joni entitled Court And Spark. I love this song, as musically it really represented her new love for experimenting with sound, jazz being one of the elements blended with her folk-like lyricism. This record truly showed her growth as a singer and composer, in my opinion. Definitely a great record to throw in the ride up the coast. 2. “Harrow Down Hill” by Thom Yorke (The Eraser, 2006): This is one of my favorite tunes off of Thom’s solo project. This album wouldn’t normally fit the spectrum of the peace and serenity required for the quiet West Coast road trips I like to take, as it is a pretty dark, angry, gritty album. This song in particular has even been described by Yorke as one of the angriest songs he has written in his career. In any case, it always seems to make it on the list with me singing every word at the top of my lungs in my car. The choppy syncopated rhythms and abstract lyrics make great for fleeing away any road rage. 3. 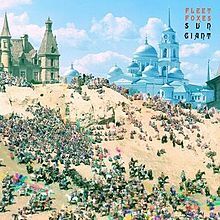 “Mykonos” by Fleet Foxes (Sun Giant EP, 2008): Probably one of myself and Fitz’s favorite tunes by this band of Seattleites. This song has been on heavy rotation on my iPhone pod for the last few months, along with their self-titled LP and their newest release, Helplessness Blues. “Mykonos,” (very reminiscent of the sound of Crosby Stills and Nash) really shines on this record for its interesting arrangement. Lead singer Robin Pecknold’s voice jumps out slightly gritty and warm, he really sits nicely on top of the strummed melody on the verses. I love the usage of harmonies and poetry of the lyrics “The door slammed loud and rose up a cloud of dust on us/Footsteps follow down to the hollow sound, torn up.” Great song for any journey. 4. “Pull Up To The Bumper” by Grace Jones (Nightclubbing, 1981): This song is just a pure classic; it was the second single and most popular track off this breakthrough LP that was recorded in the Bahamas. It’s got everything one needs for an uplifting car tune: a funk driven bass-line, synthesizers, hand claps, and a catchy hook to sing along to in case you don’t know all the verses. I remember my mom playing this record when we used to take our road trips in her banana yellow Chevy Nova pet-named “The Duster.” Makes me smile every time it starts playing. 5. “When I am Small” by Phantogram (Eyelid Movies, 2010): I discovered this band through a really good video director friend of mine who was asked to write a treatment for their next video. I was introduced to the YouTube clip above and have been pretty hooked on them ever since. Another male/female duo, Sarah Barthel and Josh Carter have created a really cool way of expanding upon their brit-pop meets trip-hop influences. Distorted haunting vocals over hip-hop like drum loops and ethereal guitars?? Me likey!! 6. “Must Love You” by Guilty Simpson (Ode To The Ghetto, 2008): What would a play list be with out at least one good hip-hop track on it? 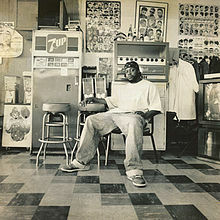 Guilty Simpson is one of my favorite MCs hailing from Detroit, Michigan. Many of the tracks on this LP were produced by Madlib (Stones Throw Records). This particular song was produced by the late, great James “J-Dilla” Yancy, who passed away a few years ago due to complications from lupus. This is probably one of the most lady-friendly tracks on the record; of course it discusses the topic of a complicated relationship, or should I say a non-functioning one? It is a great tune for showing off your subwoofers. 8. “Pushin’ On” by Quantic Soul Orchestra (Pushin On, 2005): This track, written by Will “Quantic” Holland and featuring vocals by Alice Russell, is the third song on this sophomore release by Holland, a 30-year-old prodigy born in Brighton, UK. It’s a soulful funk track with ripping horns, rhythmic guitars, and slamming drums, and gained popularity when an underground resurgence of James Brown-like compositions creeped through the UK & Europe. Since then, Quantic has expanded his blending of sounds with a project called Quantic and his Combo Bárbaro, which features musicians from Colombia and Peru. His current LP, Tradition In Transition, submerges Latin-Afro-Caribbean with deep-rooted funk. I have had the honor of working with Quantic on a few of his past releases, and he never ceases to amaze me. This record over all is great to throw on during a long bus ride. 9. 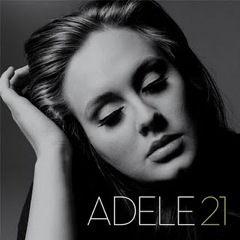 “Rumors” by Adele (21, 2011): This sophomore LP by Adele is still #1-2 on the charts for a reason: it is truly a gift from the music gods, especially for those scorned in love. Her voice is incredible, and this particular song speaks volumes about her ability to be really soulful and simple in delivery. This song was co-written with Ryan Tedder of One Republic fame and known for his work with artists like Beyonce, Leona Lewis, Timbaland, etc. This was a great collaboration for sure, and it’s hard to believe that she is only 21. 10. “Heartbreaker” by Led Zeppelin (Led Zeppelin II, 1969): One of my favorite albums of all time, released 10 years before I was born, has forever changed my love of men with long hair and tight pants like no 80s hairband could do. I may have missed the heyday experience of LZ in their prime (I mean, unless you count my experience watching Led Zeppagain in concert), but I am no fool when it comes to great albums. Air Guitar when listening to this song is not optional, it is a requirement!